You could read this entire review, or you could save yourself a few minutes and just run out and get this book now. Order it online, whatever you need to do. 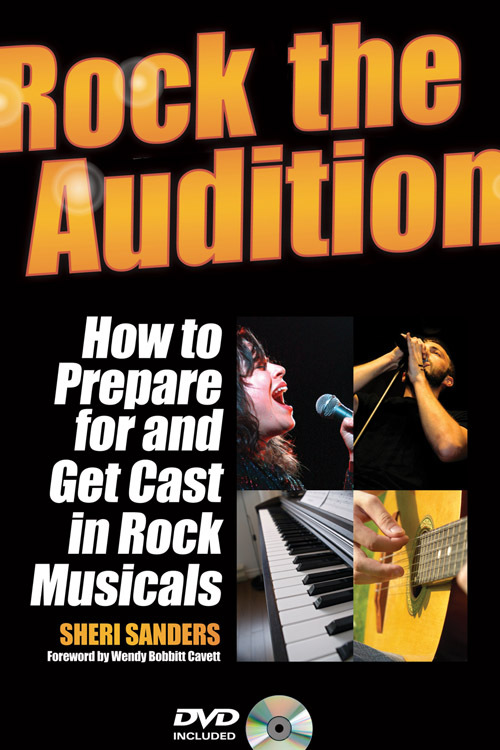 Trust me, if you’re working in musical theater, you want this book – no matter if you’re a performer, director, composer, or music director. As part of her research while she was writing the book, Ms. Sanders sat in on a number of auditions for rock musicals, interviewing the casting directors and other members of the production teams to get the answer to every actor’s question: what are they looking for? 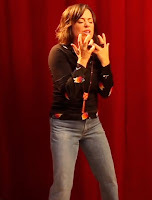 Surprisingly, she found that a common complaint, even at the Broadway level, was that actors were coming to rock auditions unprepared – unsure of how to do their best work in a rock or pop idiom. Ms. Sanders also points out that many times, creative teams don’t know how to describe what they’re looking for – which contributes to the vicious cycle of everyone involved knowing they need to solve the mystery of just how to deal with pop and rock music in the context of musical theater – but not really knowing specifically how to go about it. Look at John Travolta (Tony) and Karen Lynn Gorney (Stephanie) in the 1977 movie Saturday Night Fever. When on the dance floor, their moves were choreographed to be profoundly crisp and clean. However, inside of that “crispness,” their moves are fluid, loose, languid, relaxed and easy. Their clothes are tailored and really tight, but take a look at their legs! You’ll see the men (and women) are wearing bell-bottom pantsuits! With platform shoes! This was truly an era of freedom inside a structure. The book is a deceptively quick read: the narrative structure pulls you along through the book (a real feat which many “how-to” books don’t master.) There is so much packed into the text, however, that the reader should resist the temptation to swallow the book in a single gulp.